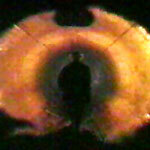 Since 1968 Peter Rose has made over thirty films, tapes, performances and installations. Many of the early works raise intriguing questions about the nature of time, space, light, and perception and draw upon Rose’s background in mathematics and on the influence of structuralist filmmakers. He subsequently became interested in language as a subject and in video as a medium and generated a substantial body of work that played with the feel and form of sense, concrete texts, political satire, oddball performance, and a kind of intellectual comedy. Recent video installations have involved a return to an examination of landscape, time, and vision. Rose has been widely exhibited, both nationally and internationally, having been included in shows at the Museum of Modern Art, the Whitney Biennial, the Centre Pompidou, the Philadelphia Museum of Art, the Film Society at Lincoln Center, and the Rotterdam International Film Festival. He has been awarded fellowships by the National Endowment for the Arts, the Guggenheim Foundation, the Pew Foundation, the Independence Foundation, and the Pennsylvania Council on the Arts, and is fond of writing descriptions in the third person. As he has written: Some of us work in a proximate relation with our intended audiences, speaking familiar languages so that the archetypes of our culture may be recognized; and some work out a self-creating interiority from which, if we are lucky, we bring back the shape of a newly imagined alphabet of feeling. I find myself oscillating between these two agendas and find the dialectic a productive one, a reflection of the complex, contradictory nature of our times.